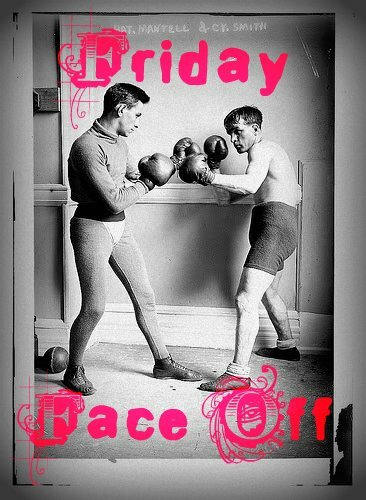 Hi, and welcome to Friday Face Off! 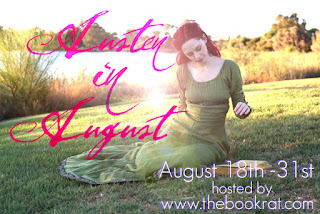 If you've only just stumbled upon The Book Rat due to Austen in August, allow me to explain: FFO is a weekly book bout, a cover smackdown between two versions of the same book, or two books that share strikingly similar covers. Every week, new ones are posted for you to vote on, and we all get to do what we love best, next to reading: dissecting the cover are wrapped around our precious books! Last Week on FFO: the original and updated versions of J. Anderson Coates The Wicked and the Just went head to head, and amid the many, many effusions of love for this book that made me want to bump it to the top of my pile, I was able to come to the conclusion that the original cover is more loved (and thus, the winner), but that many of you thought the new cover my draw in more teens, and bring the book to a wider audience, thereby also making it sort of win-like. The drawing cover. It's just too cute! Both are cute but I like the one on the left best! I have the version with the cover on the left and I do think it is adorable! So I am biased. (Haven't read yet so I'm not sure which is a better descriptor) In its defense I do think there is detailing on the bottom that is hard to see but cute in person. I also like the tag line on that one better. I love the left's fashion better, but think I prefer the right. 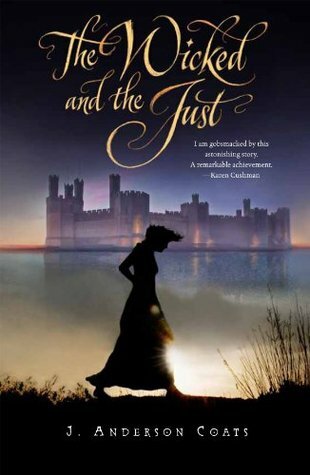 I loved the story and can see myself picking up either book for 'cute' cover. The one on the left told me right away that the book was modern, but the one on the right gave the idea of the tone of the story so...I guess no matter which side of the pond I'm from this book would get picked up and read. Tough choice, I do love both. Oh I've always loved the US cover more! It grabs my attention and is just adorable! The book is awesome and fun for some light summer reading! 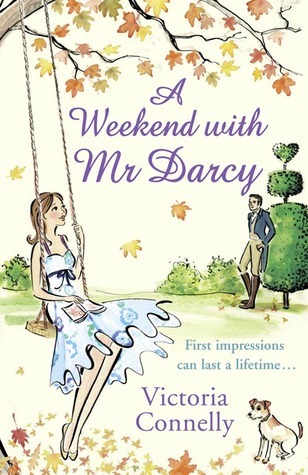 As whimsical as the drawn cover on the right is, the juxtaposition of "Mr. Darcy" and the very modern outfit photo cover grabs my attention more. And makes me want to learn more about it. I love the cover on the left. I think the right, while cute, misses the crucial fact that it's a modern story and that Mr. Darcy isn't actually a character. 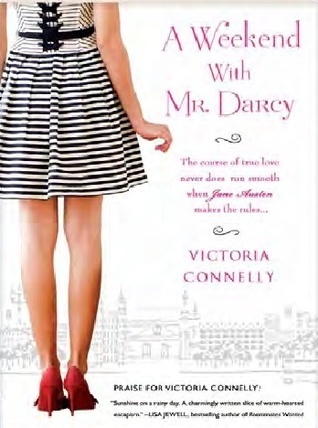 If I picked that book up, I'd be expecting something more like Me and Mr. Darcy. I haven't read the book but I'd have to go with the cover on the right. Knowing very little about the book, I'd have to go with the left one for something I would be more likely to check out. The right one is cute though! I like the 2nd one best, but I think the 2 covers give off different vibes altogether. The 1st has more of a YA feel to it, while the 2nd has more of a Chick-Lit (for 20-somethings & 30-somethings feel). So, I think a choice on this might have something to do with one's age.